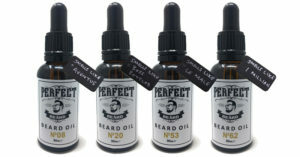 Perfect Beard is a brand that offers Beard Oils that have a Designer Men’s Aftershave smell. Our beard oils are quickly absorbed, help to reduce skin irritation and nourish your facial hair and skin. Our ingredients have many benefits and our natural ingredients include – Sesame Seed Oil, Coconut Oil, Argan Oil, Jojoba Seed Oil, Vitamin E, Sunflower Seed Oil and Ginger Root Extract. When would the blogger need to complete and publish the Instagram assignment by?